Can You Apply Too Much Mulch? 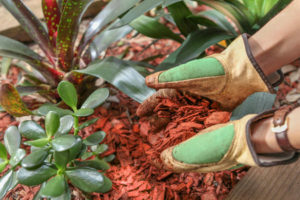 Yes, it is very common for homeowners and landscapers to apply too much mulch. The most common example of this is when trees have mulch volcanoes. A mulch volcano is an industry nickname for piling mulch around a tree trunk forming what looks like a mulch hill. This can severely hurt the tree. When you use too much mulch you expose your tree to the following situations. An increased susceptibility to insects & diseases caused by mulch irritation on the trunk of the tree. Can Mulch Kill A Tree? Yes, when trees suffer year after year from mulch volcanoes they start to experience the complications discussed above. Once your tree has developed one or more these complications (root rot, a girdling root system, a disease, or an infestation) it can die. What Can I Do If My Tree Has Been Over-Mulched? If this is the first year your tree has been over-mulched simply go out and remove or spread out the excess mulch. Use the proper mulching tips in the next section below to make sure you redistribute your mulch correctly. 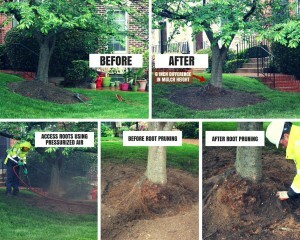 I f your tree has been over-mulched for years you will most likely need a few treatments to get it healthy again. Bio-stimulants: since your tree has been kept in an unhealthy situation for years bio-stimulants can be used as a multi-vitamin to make sure the tree has all the nutrients it needs to strengthen its immune system and recover from over-mulching. 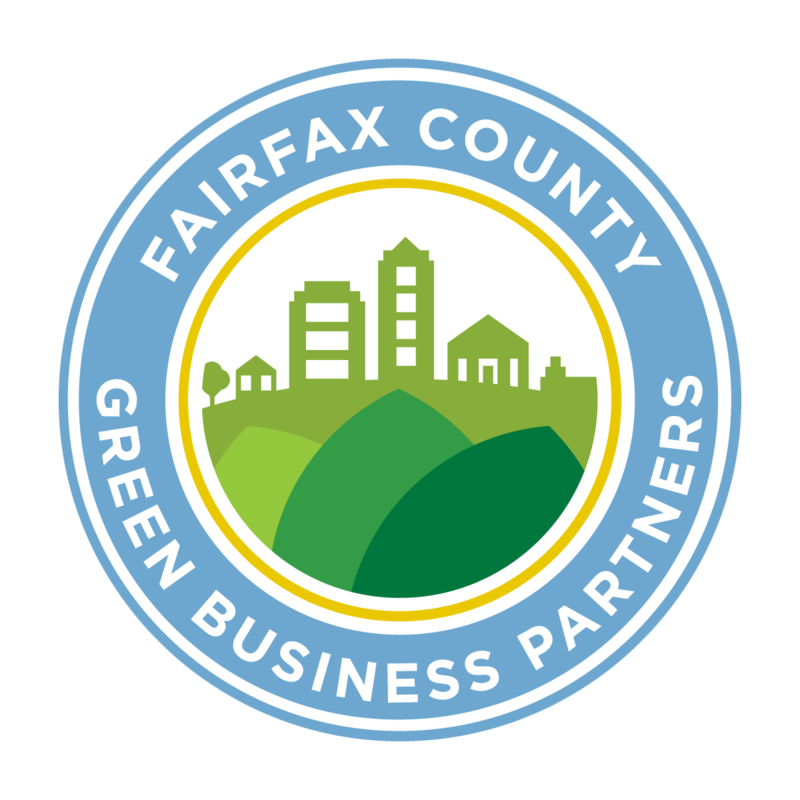 Take a look at the video below to see use correct an over-mulching situation at a local HOA using a root collar excavation, root pruning, and proper re-mulching. How Do You Put Mulch Around Trees? Size: The best mulching goes out as far as the drip line of the tree. However, this isn’t reasonable for most homeowners with large trees. If mulching out to the dripline isn’t practical, apply mulch in a 2 to 3-foot radius around the tree instead. Do not pile the mulch against the trunk of the tree. 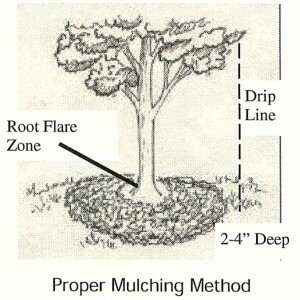 Instead keep the mulch away from the trunk, so that the root flare zone is visible. To refresh the look of mulch, lightly rake the top layers of the mulch, or simply remove the old mulch and replace with new mulch. Don’t pile new mulch on top of old mulch. 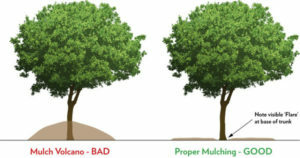 Learn what not to do when you mulch around trees with our 5 Common Mulching Mistakes article.